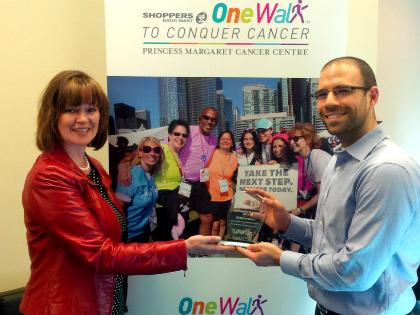 Everyone at Fieldgate is extremely proud to be the recipients of a new corporate team plaque recognizing our 15 walkers who participated last year in The Shoppers Drug Mart OneWalk to Conquer Cancer. In 2014, Team Fieldgate’s 15 walkers raised $23,000 for The Princess Margaret Cancer Foundation and The Campbell Family Cancer Research Institute, which is a part of the Princess Margaret Cancer Centre. Over the last six years that Team Fieldgate has participated, we have raised over $100,000 in donations, and we’re really looking forward to walking again later this year. Also, Joan Gold, Fieldgate’s Controller; HR & Admin Director, has been announced as a 2015 OneWalk Honourary Chair member for 2015. 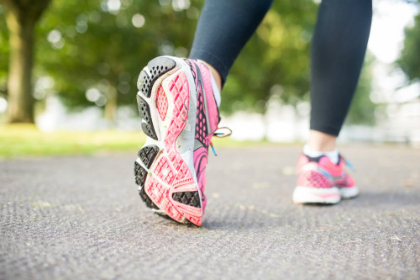 The next walk will be held on September 12, 2015, where all the OneWalkers will travel 25 km along the streets of Toronto to raise money for research and awareness for all sorts of cancer. We urge you to participate in this great event. To register as an individual, join a team, or create a team, click here. And to donate, click here.